Watch what the UN does not want you to see: The Rebel TV reports from UN climate summit in Morocco! November 15, 2016 – Sheila continues reporting from COP22 in Morocco this time showing you all of the vehicles dignitaries have left idling outside the convention centre. November 16, 2016 – Sheila provides a snapshot of the crazy traffic (and smog) in front of the complex housing the COP22 event in Marrakech. November 16, 2016 – Sheila speaks with world-travelling, anti-fossil fuel protesters at UN climate conference, forcing them to confront their climate change hypocrisy. November 16, 2016 – Sheila was at the UN climate change conference in Marrakech when Climate Depot’s Marc Morano was hauled off by security! November 16, 2016 – The official reason for the denial of Rebel’s accreditation to cover COP22 was the claim that we were “advocacy journalists”. Watch as Sheila confirms the presence of several other “advocacy” journalists, albeit ones with a more “helpful” point of view. 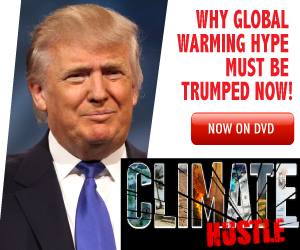 November 17, 2016 – Marc Morano of Climate Depot provides an update of the changing mood at this UN climate conference as the reality of a Trump Presidency sets in among delegates. November 17, 2016 – Sheila reports on John Kerry’s anticlimactic appearance on the fourth day of the UN Climate change conference in Marrakech. November 17, 2016 – Sheila tried to speak with Chief Kevin Hart of Manitoba, but his handlers refused to allow him to speak with The Rebel! November 17, 2016 – Globalists have gathered in Morocco to discuss phony “climate change” in a phony village in the desert. November 18, 2016 – Sheila has seen some pretty crazy things at the UN Climate Change Conference in Marrakech, but this attack on farmers really annoyed her. November 18, 2016 – Sheila asks, have you ever wondered why you don’t see the other side of the story from journalists on the ground at UN climate change conferences? Watch as she explains why and how The Rebel differs. November 18, 2016 – Sheila gives her final thoughts as the globalist UN Climate Conference wraps up in Marrakech, explaining why there’s reason to think common sense will prevail as the climate bullies are on the run.